This week, UK Prime Minister Gordon Brown was the first world leader to meet with US President Barack Obama in Washington. But the only thing the British media is talking about is how poor Gordon Brown was maltreated. Despite Barack Obama’s eloquent elocution, ivy school credentials and electric charisma, there is talk that he lacks the most crucial element of any great leader: judgment. And that single personality flaw, if it does in fact exist, seemed apparent during Gordon Brown’s trip to Washington to discuss ways to tackle the worsening global economic crisis. Snub Number 1: On the eve of UK Prime Minister Gordon Brown’s inaugural visit to Washington to meet America’s African-American wunderkind, Barack Obama, White House staffers decided it the perfect moment to send back a bust of Winston Churchill to the British embassy, a gift from former PM Tony Blair that had adorned the Oval Office since the Sept. 11 attacks. Some speculate that the Obamas (Michele is already figuring high in any decision that Barack makes) returned the dusty bust precisely because it was Churchill who, in 1952, ordered a crackdown on the Mau Mau uprising against British colonial rule in Kenya, Obama’s ancestral birthplace. Others say that Obama was sending a clear message that his administration would no longer follow the past Bush-Blair model of US-UK partnership, which centered heavily on the war on terror. Still others say that the Obamas simply did not like the bust. Snub Number 2: Despite the fact that Gordon Brown had become the first European leader to set foot in Washington (a very big deal for the Europeans, it seems), the Obamas failed to have Mr. Brown and his wife Sarah over for a White House dinner. Such formal receptions, especially considering that Gordon Brown represents America’s staunchest ally, is simply diplomatic protocol. Has the financial crisis become so bad that the White House could not afford a casserole? It’s the thought that counts, after all. I am half-tempted to believe that this incredible oversight is a very bad omen for Obama’s future relations with European leaders. Mr. Brown had to settle for a “working lunch” at the White House instead. Snub Number 3: No joint press conference. 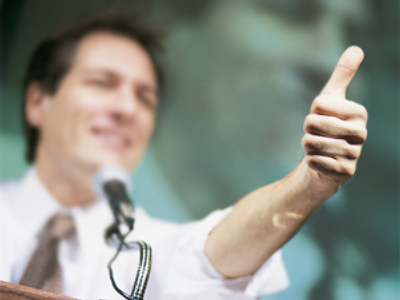 Although few politicians truly relish having to address the media, it seems that this was not one of those occasions. The British prime minister fought hard to be first in Washington amongst his European counterparts (it is no small accomplishment that he even managed to visit Obama before the globetrotting French president, Nicolas Sarkozy), so common sense says that he would want as much exposure from his trip as possible. After all, the meeting was centered on how to escape from the global economic quagmire, so good politics dictated that Brown play up his trip. After the joint press conference in the Rose Garden was cancelled due to “snow,” the leaders fielded reporters’ questions in a taped session (known as “pool spray”) in the Oval Office. 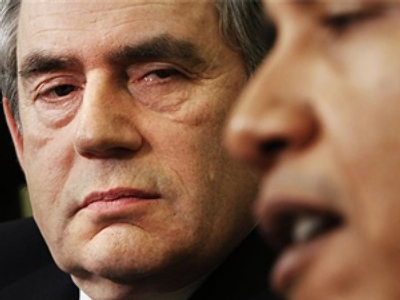 The underlining sense of disappointment and surprise is latent in this article from the Financial Times: “A joint full-scale press conference for President Obama and Gordon Brown has been cancelled. Apparently the Rose Garden, where they could have met with the press, is blanketed with snow. But no reason was given as to why a press conference couldn’t happen inside the White House. Instead… a half-hour meeting in the Oval Office will be preceded by… a few shouted questions from pool reporters during a photo-opportunity with no substantive discussion.” Strange. 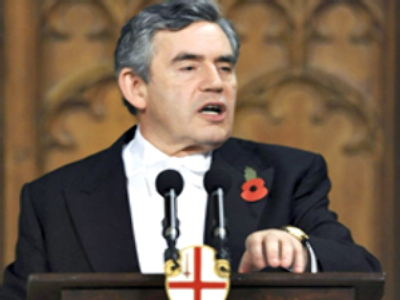 However, not all was a loss for Gordon Brown, who addressed the US Congress over the economic crisis. A state dinner at the White House would have wonderfully complemented such fine words. But unfortunately, the Obama administration was sleepwalking through Brown’s visit. Hopefully, this is not a sign of things to come.